As the sore legs and horse voices begin their recovery here is a look back at the 4 day show at the Birmingham NEC. 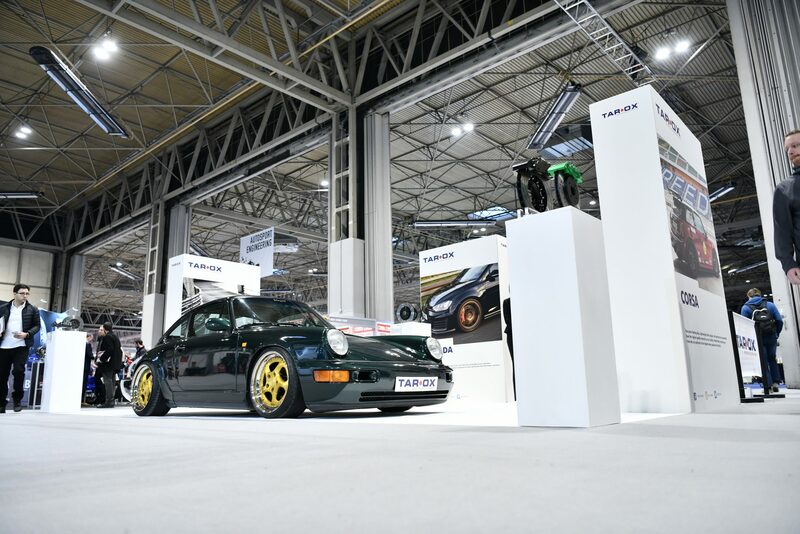 The Autosport show famous for its huge motorsport features and high amount of F1 and WRC cars embraces the road side of the industry and begins to translate the huge footfall associated with Autosport into a significant event in car culture at large. With TV car show celebs never far from thoroughbred racing drivers the show now gives fans of all sides of the automotive spectrum a real treat with halls packed with new and old racing and show cars with companies who could afford the floor space opting for a mix of motorsport and tuned performance cars on display. After a surprise success at what was last year called just the Performance Car hall it was decided again to commit to the updated Performance and Tuning 4 days rather than the trade specific 2 day Engineering show. 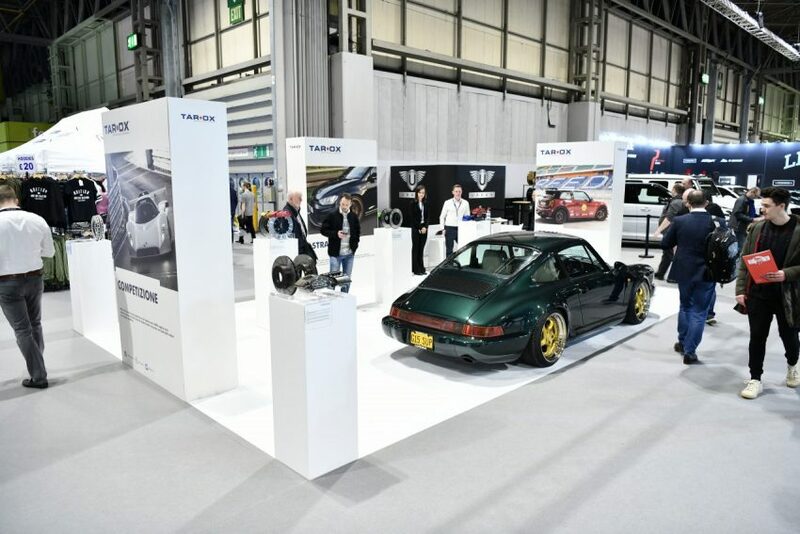 In a hall jam packed with modified supercars and some less than subtle SUV’s it was a delight to have one of the best looking Porsche 911’s in the UK in Matt Glassup’s elegant Forest Green 964 on custom Eta Beta wheels, big shout to Matt for the loan and ensuring the car was looking better than ever! 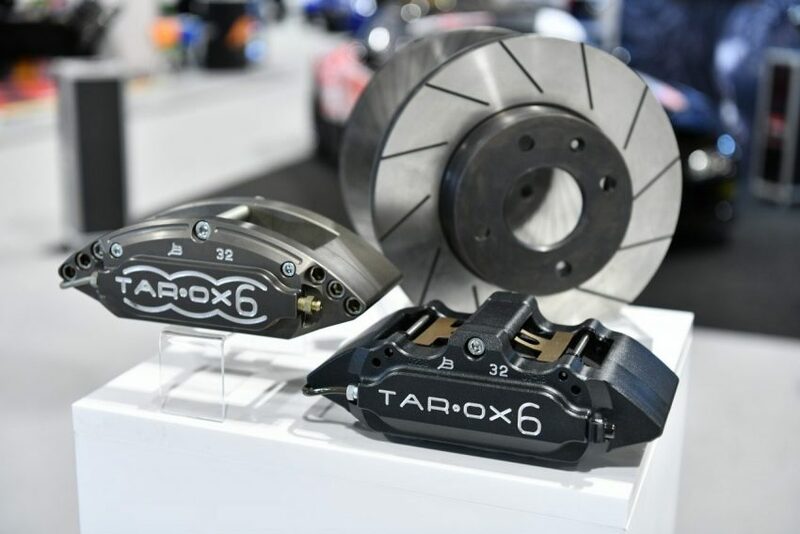 Above the evolution of the TAROX b32 6 piston caliper – Always a 6 piston, always designed and manufactured in our Italian factory. As all TAROX calipers are anodised it does us allow us some flexibly with caliper colours, with red, green and blue a common option, with an update to how our anodising process works customers are more and more choosing our Gold finish, one of those customers is our MINI dealer Lohen who were exhibiting next to us with their new F56 demo car with our track spec 335mm 6 piston calipers. We expect Gold to be become one of our most popular colour options in 2019. Although we moved to the performance and tuning car show we always had the original Autosport in mind. Strategic placement of the stand on the border between the racing focused Engineering halls ensured we kept close the ever important motorsport customers. 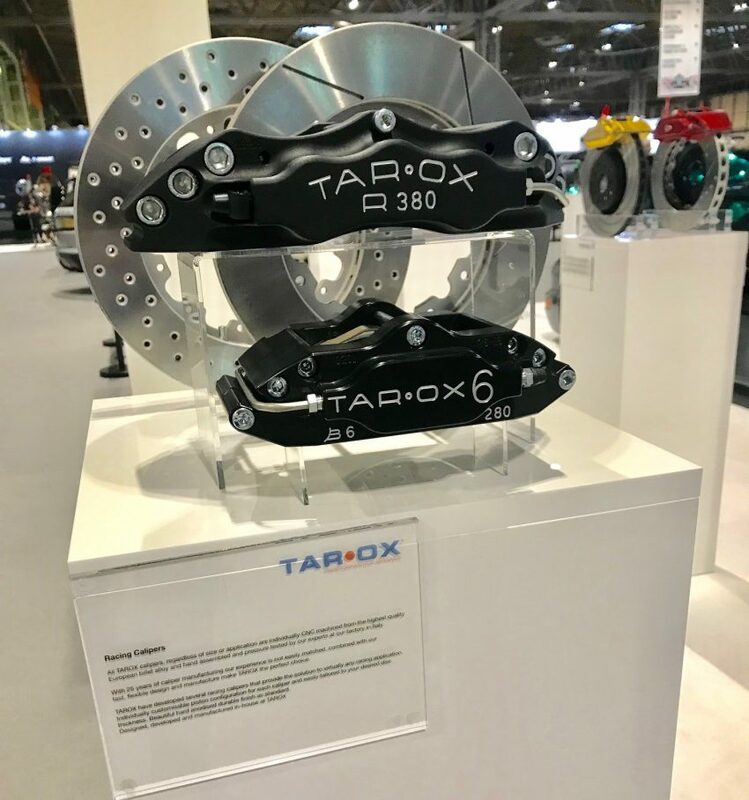 With this in mind it seemed a great opportunity to give customers the first glimpse of our latest race only caliper the R380 6 piston caliper. 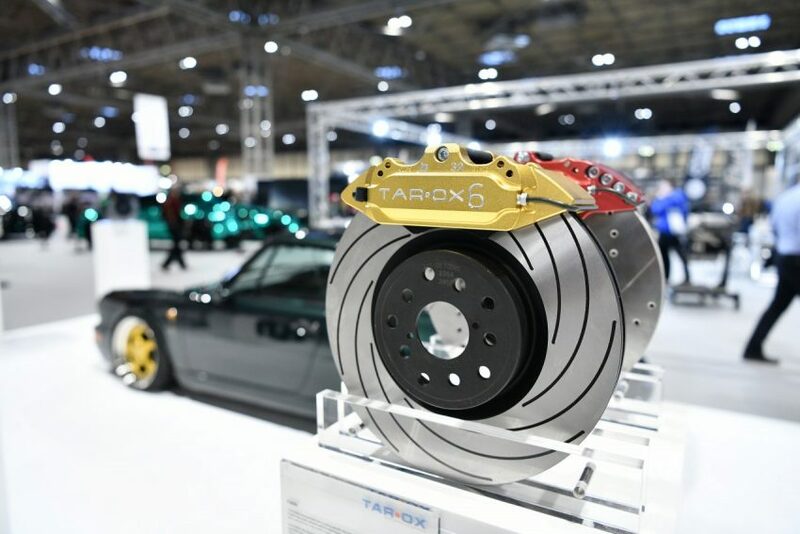 Designed in collaboration with a leading French racing team the R380 is a light stiff race focused brake caliper designed for the highest levels of GT racing. Are you making these eight, common mistakes when driving on track? 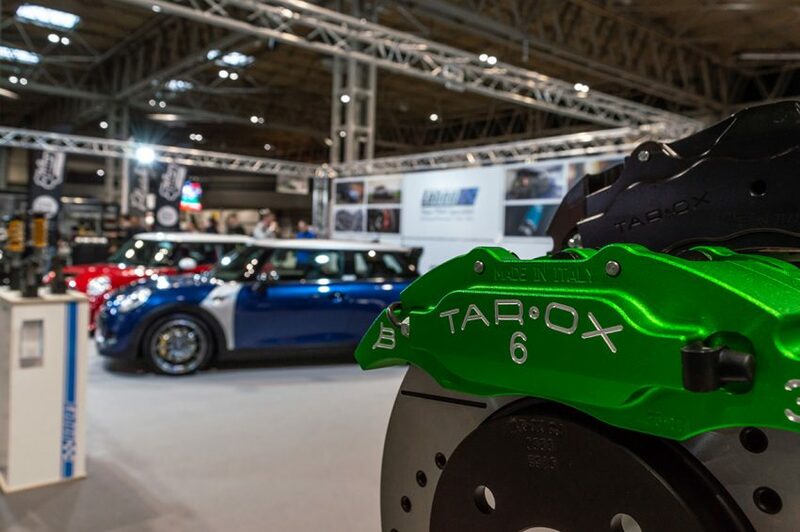 Autoglym and TAROX guide to maintaining the perfect caliper finish.